We learned about the Singapore Symphony Children's Choir Auditions when we dropped by at Yamaha Music School for Kyla to check her dream piano. Since she is musically inclined, we encouraged her to give it a try. She has been a member of her school choir (CKPS Choir) since Primary 2. They brought home Gold with Honors when they competed with other schools during the Singapore Youth Festival held at School of the Arts (SOTA). 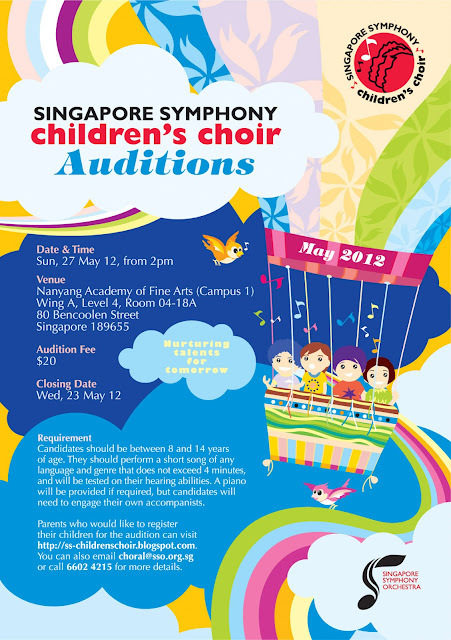 Kyla sang Danny Boy during the auditions day, 27th of May 2012 at Nanyang Academy of Fine Arts (NAFA). I planned to take a video of her but the organizers didn't let the parents tag along inside the audition room. Imagine my excitement when I received the email above yesterday. I immediately forwarded it to the hubby and he was equally excited. Our hearts swell in pride and joy. I broke the great news to Kyla via sms but she was having her afternoon nap. When I came home from work, I whispered it in her ear and she was awakened by extreme joy. Thanks and praises be to God for this wonderful journey and exciting opportunity for our precious girl! This is fantastic, Cher, and please give my congratulations to Kyla! I can imagine how excited and happy all of you are with this great news!! 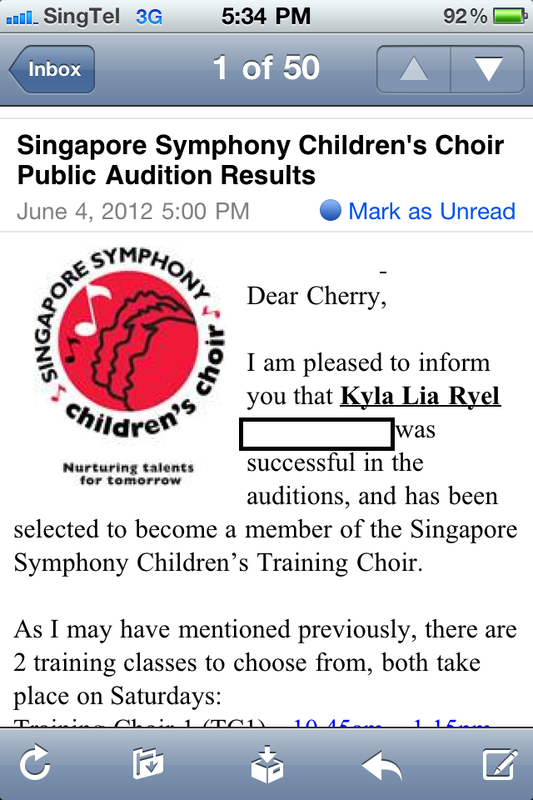 I am equally excited for Kyla - she is just awesome ! congratulations to Kyla Che, this will provide her an opportunity to train with the best and become the best she could be as well, more power to Kyla, and may you all continue to enjoy God's wonderful blessings. 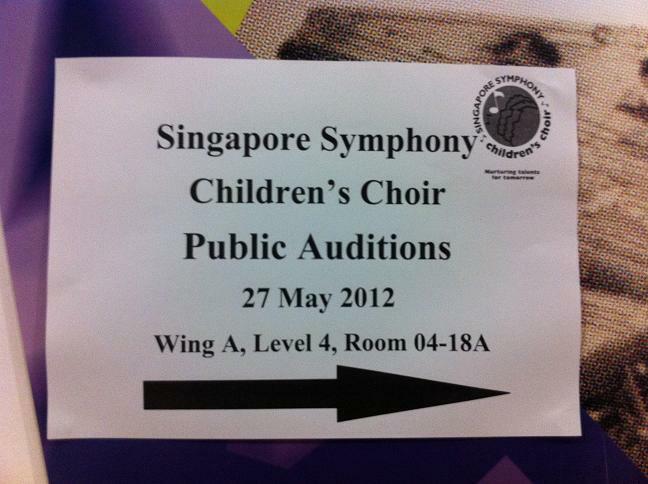 that reminds me that it's been awhile since I sang in public. haha!